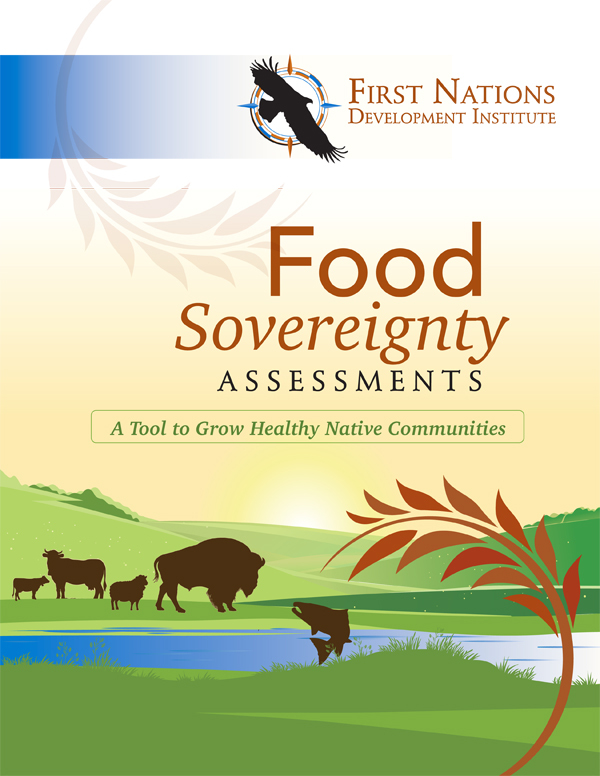 First Nations Development Institute (First Nations) recently published a new report on Native food sovereignty assessment efforts, as well as four new videos dealing with food sovereignty, ranching and agricultural issues. The report, titled Food Sovereignty Assessments: A Tool to Grow Healthy Native Communities, details some of the outcomes and lessons learned from a project that funded numerous Native American communities in conducting food sovereignty assessments, with the goal of collecting valuable localized data, creating action plans, and eventually moving toward more control over their local food systems for improved health and nutrition, and for the economic well-being of those communities. It is available as a free download from the First Nations Knowledge Center (under the “Nourishing Native Foods & Health” section) at https://firstnations.org/knowledge-center/foods-health. (Please note that if you don’t already have one, you will need to create a free online account to download the report.) The report was authored by First Nations Vice President Raymond Foxworth, with data-collection assistance from consultants John Hendrix, Michelle Desjarlais and Joseph Madera. In 2016 and 2017, First Nations provided 39 grants totaling nearly $640,000 to Native communities. This allowed these communities to develop and implement efforts to assess their local food systems and establish forward-looking plans designed to transform the future of those systems. Much of their work was conducted using First Nations’ Food Sovereignty Assessment Tool (FSAT), which was first developed in 2004 and significantly updated in 2014. Food sovereignty assessments have been a starting point for many communities as they work to develop mechanisms to increase local food-system control. A community food sovereignty assessment is a community-developed and community-led process for assessing local food-system control. A food sovereignty assessment puts Native communities in the driver’s seat, as it empowers them to identify their own goals, methods and process for data collection, analysis and strategy development. Some of the grantees specifically featured in the publication are the Chahta Foundation in Durant, Oklahoma; the Nisqually Indian Tribe in Olympia, Washington; the Nebraska Indian Community College in Macy, Nebraska; and the Seneca Nation of Indians in Irving, New York. Most of the participating organizations (56%) were Native-controlled nonprofits or grassroots community groups, while 44% were tribes or tribal departments. The four new videos, posted on the First Nations YouTube Channel, deal with food sovereignty, ranching and agricultural issues. They feature current and past grantees of First Nations in Arizona, New Mexico and Washington. They were produced for First Nations by Frybread Productions. Nahata Dziil 14R Ranch, located on the rural Navajo Nation, utilizes community, land and long-cultivated ranching skills through a cooperative business model to provide local beef to community and businesses that serve the Navajo Nation. Where few businesses exist, 14R Ranch has managed to create and maintain a sustainable and responsive business model. This video can be found on YouTube at https://youtu.be/pchdqKon9Yg. Ndée Bikíyaa – The People’s Farm, on the White Mountain Apache Reservation, seeks to reconnect the community to its food, traditional lifestyles and, ultimately, a healthier mindset. The People’s Farm is a mentorship organization that is growing young Native American farmers and challenging notions of Native American health. This video can be found on YouTube at https://youtu.be/2gVDv6NN1mQ. The Muckleshoot Food Sovereignty Project is reconnecting Native American foods and diets to Native value systems. The project focuses on activities ranging from breastfeeding to gathering traditional foods to improving diets. This video can be found on YouTube at https://youtu.be/aDjSLxHoo5E. The Zuni Youth Enrichment Project focuses on connecting youth to movement and food. It challenges young people to think critically about building community through action and food choice. This video can be found on YouTube at https://youtu.be/0R9Qo9hTXnU.